Yes, I am ticked off and have been for many years about our murderous thugocracy, and I hope you join me in at least that much. If we aren't phased, if we are not angered, we probably need to check our own pulse. Until the day comes that we rise up and speak out against this tyrannical police state nation, nothing will change. American's continue to be murdered by law enforcement and we don't need to look as far back as Waco and Ruby Ridge to see corrupt law enforcement, doing the bidding of corrupt government officials, murdering Americans. If you believe that, you have probably been watching to much mainstream, pre-packaged news; contrived news that supports a lawless government. Anybody remember the brutal murder of Laquan McDonald this past November? How about the suspicious death of Screenwriter David Crowley about a year ago? Or the public execution and subsequent media cover up of Miriam Carey in 2013? The atrocities go on and on. And if you haven't seen the Police State in action for yourself, just watch this, but I warn you in advance, it is gruesome. We have seen this movie before. Federal officials abuse their authority and their heinous acts result in the deaths of people who did not deserve to die. Two of these people are dead courtesy of the FBI. Randy Weaver was convicted of possessing a shotgun that was one quarter of a inch too short. For his transgression, the FBI showed up on his property and shot his 15 year old son as he ran in fear from the FBI. Weaver’s wife was gunned down without by a sniper’s bullet shot through the Weaver’s kitchen window as she was holding her infant child. Eventually, Randy Weaver’s case reached the attention of Congress, who paid him over $4 million dollars in restitution. However, that did not bring Weaver’s family back to him. 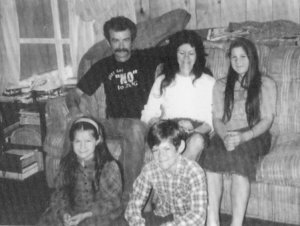 And the FBI agents who murdered Weaver’s family were never held accountable. Innocent children were burned to death at Waco. In 1993, Janet Reno, under the direction of Bill Clinton, ordered tanks to breach the walls of the Branch Davidians compound after a two month stand-off. Scores of innocent children were burned to death. Nobody was ever held accountable for this heinous act. Lavoy Finicum, uunarmed, hands in the air, cooperating with authorities, is shot three times and killed while surrendering to authorities. 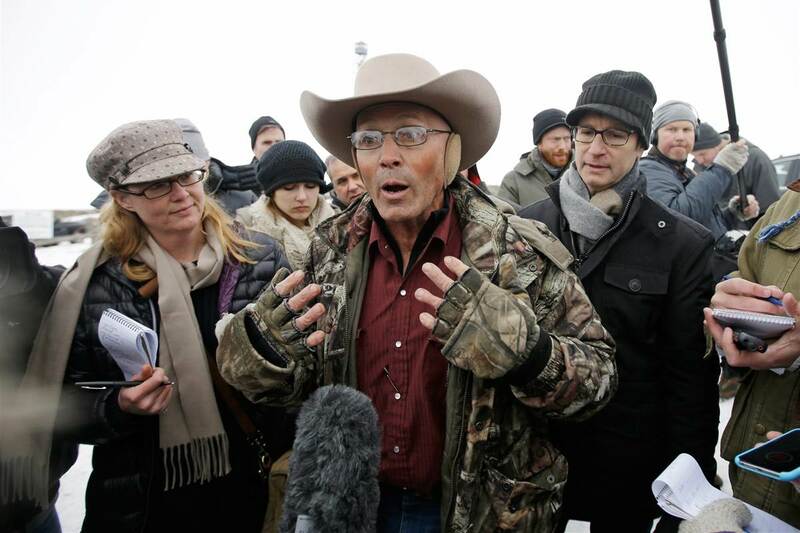 The Bundys are in custody along with five others and tragically, an unarmed Robert “Lavoy” Finicum was gunned down in an act of cold-blooded murder as he was surrendering with his hands in the air. Two eyewitness accounts were posted on Facebook on the evening of January 26 about the murder of Finicum. At least temporarily, you may listen to these accounts by clicking here. I do not expect this recording to stay on Facebook much longer as the government censors will swoop in and remove this account. For posterity sake, if you are unable to listen to the eyewitness descriptions of this event, suffice it to say that Ammon Bundy was able to text that Lavoy Finicum was surrendering without incident when he was gunned down in an act of cold-blooded murder. Make no mistake Finicum was murdered. As was just stated, this true eyewitness account may no longer be available as the public reads these words. Robert “LaVoy” Finicum’s last interview with The Oregonian on the day before his death “They’re doing all the things that shows that they want to take some kinetic action against us,” Robert “LaVoy” Finicum says of federal agents. These were some of Finicum’s last words to The Oregonian/OregonLive on the day before his death. “They’re doing all the things that shows that they want to take some kinetic action against us,” he said. Lavoy was correct, he was dead the very next day. When I first heard that the Bundy Patriots had seized a federal building 30 miles outside of Burns, Oregon, I knew that this was not going to end well. I interviewed former US Attorney, Kurt Haskell, and he said that these men were coming out in body bags or with 20 year federal prison sentences. The MSM was portraying the group as hunkered down wild-eyed militants intent on shooting federal officials. I had repeatedly said that “this was not the hill to die on”. Yet, I sympathized with his cause for reasons I will elucidate later in this article. On January 10th, The Common Sense Show attempted to interview Ammon Bundy to get his side of things as I clearly saw the government narrative all over the reports on CNN and Fox. One minute prior to the interview, both satellites that carry my show were simultaneously taken down. Our listen by phone option was taken down as well as all forms of communications. At the same time, Ammon Bundy and his Patriots had their communications simultaneously taken down. The feds were determined that this interview was not going to take place. However, on January 11, Katy Whelan, the Health Reporter for The Common Sense Show, worked with Shawna Cox and covertly set up the interview for the next day on January 11. We caught the feds totally off guard and the 40 minute interview went off without a hitch. In the interview, Ammon stated that he was in the area to prevent bloodshed. He cited several instances where he had gone on to land owned by local ranchers and removed BLM imposed barriers placed on rancher land which was depriving them of their ability to use their land to support their families. Ammon Bundy reached out to federal officials in Burns, Oregon and had a friendly relationship with them. Ammon Bundy came across as a reasoned person who was trying to thwart federal land abuse of thousands of ranchers across the West. I would like to ask CNN and Fox, who speaks for the ranchers? Why aren’t these land abuses reported on Fox and CNN? It is at this point in the story, that I would put the archival link to the Bundy interview here. However, both of my archival records of my interview with Ammon Bundy have been disabled at the source. The federal government does not want the public to hear the sane and reasonable Ammon Bundy that I spoke with on January 11. How can anyone trust an administration that conducts it business in such an inappropriate manner? From the evidence obtained from sources like the New York Times, we believe that Uranium One is behind the mineral theft of ranchers’ lands in the West. We further believe that the company in question is a Russian controlled front company whose primary mission is to obtain uranium which is sold to the Russians and funnels back payoffs to Hillary Clinton’s Presidential campaign. This was reported by the New York Times. As a result to all of this chicanery, ranchers have had their land rights restricted in order that they can have their mineral resources stolen. Further, this has resulted in land restrictions for these ranchers that is is preventing them from making a living off of their land. The situation is so grave that as many as 19 counties in Northern California and Southern Oregon have attempted to created a 51st state called the State of Jefferson. It is their belief that if they form their own state, they will be able to better ward off the oppression of the EPA and the BLM. 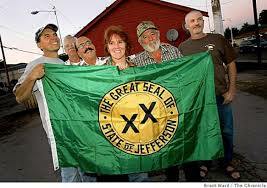 The newly forming State of Jefferson. Will these people be the next to be abused by federal law enforcement officials? Incidentally, Shawna Cox, who facilitated The Common Sense Show’s Ammon Bundy interview with Katy Whelan has been arrested on the felony charge of conspiracy to impede officers of the United States from discharging their official duties through the use of force, intimidation, or threats, in violation of Title 18, United States Code, Section 372. Orwell’s 1984 has clearly arrived in which telling the truth has become a revolutionary act. With the murder of Lavoy Finicum, I don’t expect we will see an immediate push back from the ranchers. However, Finicum’s death will harden the resolve of American ranchers throughout the West. The handling of the Malheur situation has greatly increased the likelihood that there will more deadly incidents like this. And the feds have all but guaranteed that they will be fired upon given how Finicum was executed as he was unarmed and surrendering. Stupid, stupid, stupid! The Obama administration could turn gold into silly putty. They have managed to take a simple case of victimless tresspass on federal land and turned this into a rallying cry for ranchers all throughout the West. Lavoy Finicum, you may have drawn the shots that will be heard around the world. Rest in peace.